Above the town of Bolzano in northern Italy is a tiny village called San Genesio Atesino or in Geman, Jenesien. This is of course South Tyrol, an Italo-Germanic area, which was once part of Austria until end of World War I. To get to San Genesio, one takes a tourist bus downtown called Bo Bus, to the Funicular San Genesio. 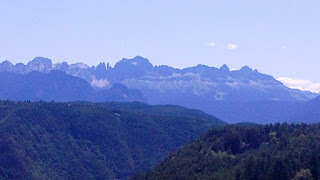 On the way up, for about 15 minutes the cable car ride treated the passengers to a spectacular view of the Italian Alps. In this village last July, two delightful events happened to me. 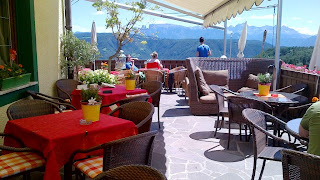 First, I spent a couple of hours admiring the jaggged peaks of the Dolomites from the restaurant deck, the reason for my being there. The second, was a culinary surprise - cream of tomato soup for lunch that knocked the socks off me at the Landgasthof zum Hirschen. The soup took awhile to come but when I took my first taste, it was well worth the wait. It had the colour of pumpkin soup, but had the right balance of tomato and cream with subtle blend of herbs. At the end, came the distinct taste of some very old Italian cheese. This soup just went way up high on my tomato soup taste meter. 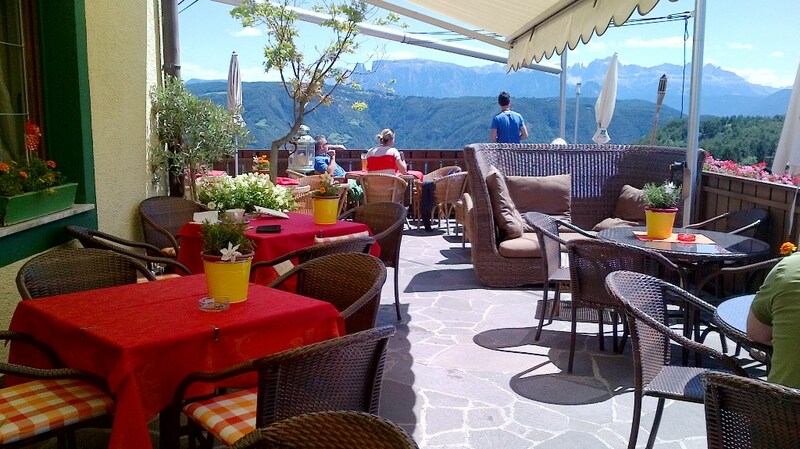 With my creamy tomato soup, fresh bread, mint tea and wonderful appel strudel, the view of the Dolomites became more sumptuous than I had expected.